This project will take you all of 30 minutes. We love the shimmery micas in soap and body products. Micas are not glitter, instead they are much finer giving a far more subtle effect. We love micas because they are made from natural materials and are biodegradable. Candle Deli supports care of the environment. Avoid glitter because it is a microplastic which is extremely harmful to our environment. Glycerine soap can be melted in the microwave. 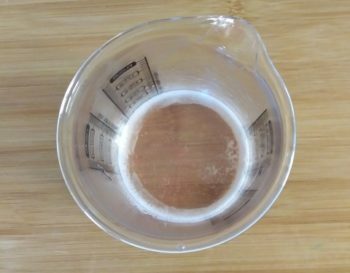 We like using a Pyrex measuring jug as you can pour without messing. It’s always good to have a sosatie stick on hand. 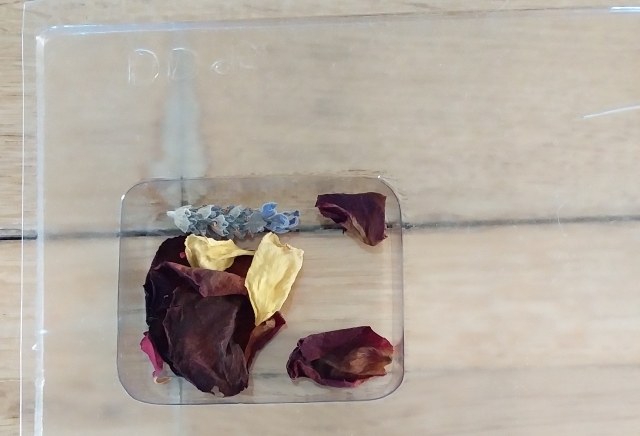 Place the dried petals in the bottom of the mould. Don’t use fresh flowers or leaves because these still contain sap. 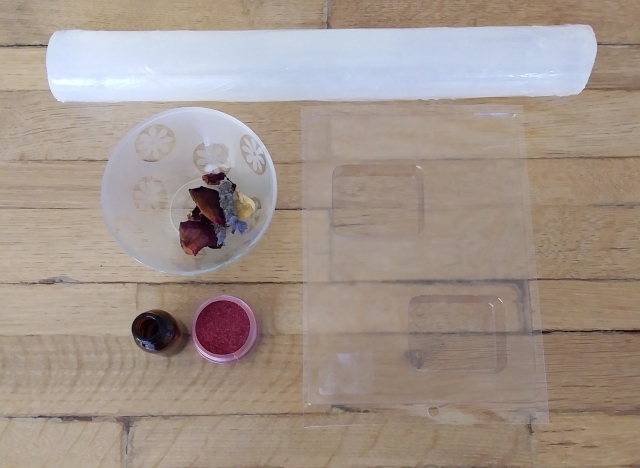 The sap will bleed into the soap and turn brown. Cut 40g of soap into small blocks and melt in the microwave. Don’t overheat the soap, 30 seconds should be fine. Melted soap. Pour just enough into the mould to cover the petals. Leave to cool slightly. While you’re waiting melt a little more soap and add a small amount of red mica to the melted soap. Add half a teaspoon of Lily Rose fragrance to the melted soap. Spritz the top of the soap in the mould with a little rubbing alcohol. This will help the melted soap to stick to the first layer. Now fill up the mould with the red mica soap. Allow to cool. If you’re impatient you could leave the soap in the fridge for 10 minutes. Remove the soap from the mould. If the video clips do not appear on your screen, please watch them on our Youtube Channel.